Poker is a notoriously tricky game to master because of the lack of reliable feedback on the quality of your decisions. 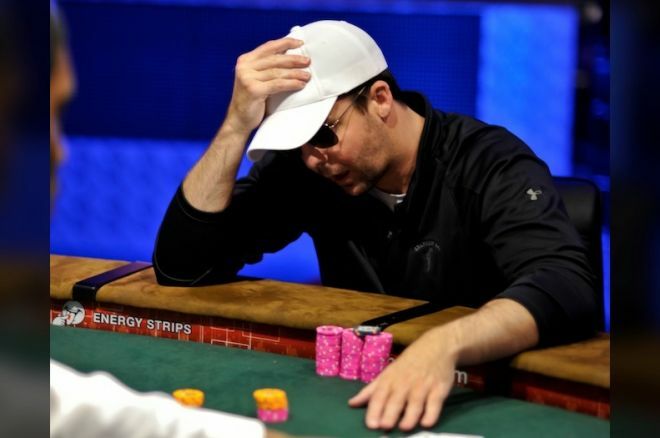 It’s very possible — common even — to make good decisions and nevertheless lose a big pot. I’m not talking only about bad beats either. It’s quite possible to play well and still get a lot of money in bad. Good bluffs or calls can run into the top of an opponent’s range. You can correctly “value bet” into what turns out to be a better hand. Such is not uncommon. Of course, the opposite happens all the time, too. You can play badly and win, or play moderately well and come away a small winner. If you’re satisfied any time you rake a pot or stand up richer than you were when you sat down, then you’re missing out on opportunities for improvement and ultimately leaving a lot of money on the table. In the end, $100 not won costs you just as much as $100 lost. How, then, can you judge your play? Long-term results are a helpful guide and cut through some of the noise caused by variance. Still, this tells you only whether you are winning or losing overall, not why or which plays are working for you. The best guide I’ve found to judging my own play is my opponents’ reactions. If they seem consistently confused about whether to bet or how to respond to my bets, then I’m probably doing something right. Think about this in the context of value betting. Let’s say you river the nuts and your opponent checks. You want to make sure you get some value from your hand, so you make a small bet, and she quickly calls. I’m not just looking to win the pot — that part is locked up when I have the nuts. I’m not just looking to get a bet paid off, either. If that were my only goal, I’d bet the minimum. Ultimately I want to find the threshold amount where my opponent is torn between calling and folding, and then ideally bet just a hair less. That means that I’m looking for the same threshold point when I’m bluffing. I don’t make small value bets and large bluffs or vice-versa. In any given situation, I’d bet roughly the same amount with my bluffs and my value bets, because in both cases I’m trying to find the point where my opponent will have a tough decision. Think of it this way — if your opponents aren’t sweating, you aren’t working hard enough. Be sure to listen to Andrew and Nate Meyvis on the Thinking Poker podcast, and for strategy articles, reviews, and more from Andrew, check out the rest of The Thinking Poker website.